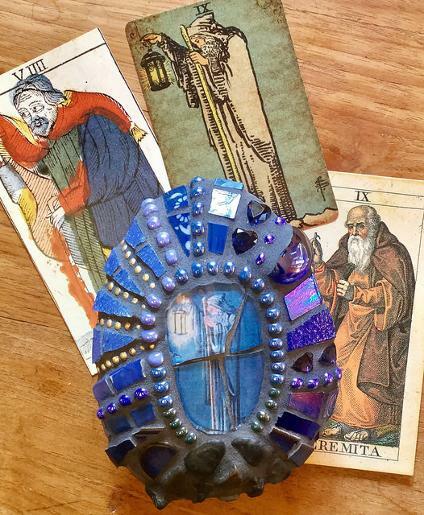 Mosaic tarot stones can come in all shapes and sizes. 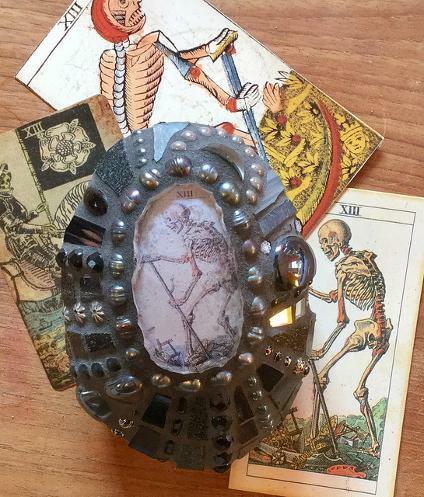 They are great way to focus a Tarot reading, for placing on your altar, or simply to showcase a favourite card. I also create lots of mosaic stones without Tarot cards, you can see them here!